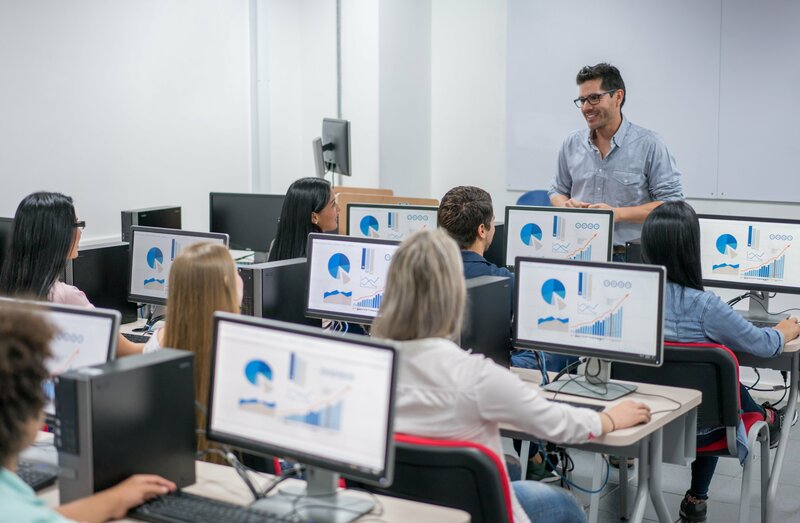 Andrews air conditioning was recently contacted by a school in Manchester in search of a climate control solution to help cool down their IT classroom. As a result, our specialists were drafted in to provide the client with a cooling solution to ensure the correct environment was maintained to protect the IT equipment while providing a comfortable environment for both staff and employees. Thanks to our existing relationship with this client, we were their first port of call to help find a solution to their problem. A local Andrews technician visited the premises to conduct a site survey – assessing the specifications of the area before recommending a suitable air conditioning system that was befitting for the classroom. Following a site meeting, a proposal was put forward to provide install a Mitsubishi ceiling mounted system. Our experts positioned the cooling equipment at the back of the classroom to distribute an even and steady stream of fresh air throughout the room. Once the air conditioner was installed, it had an immediate impact by reducing temperatures with noticeable effectiveness. This article was posted in Andrews Air Conditioning, Case Study and tagged Air Conditioning Installation, Air Conditioning Sector - Education, Air Conditioning Sector - Public sector, ceiling-mounted air conditioner, fixed air conditioning, Mitsubishi. Both comments and trackbacks are closed.